In a dystopian future wild teens wander the apocalyptic streets, mysteriously never aging past 18 years old. The tyrannical Falco rules high above them with his wife and rebellious daughter Raven trapped in a luxurious skyscraper. Until a forbidden romance between Raven and Strat, the rock and roll leader of the Lost youth, threatens to tear both worlds apart. Meatloaf’s epic musical collaboration with composer Jim Steinman remains one of the highest selling and most iconic albums of all time. Originally created with the intention of being a theatrical production, after over 40 years Steinman finally realises that dream to the delight of long term fans and new audiences alike. As crowd pleasing ‘jukebox’ musical Bat Out of Hell draws upon a truly unique collection of songs, made even more powerful by audiences existing familiarity. Few West End productions can boast soaring power ballads with even half the power of I’ll Do Anything For Love. It’s simply an enjoyable embarrassment of musical riches to parades hits like Dead Ringer For Love, Two Out Of Threes Ain’t Bad and the titular Bat Out Of Hell. Meatloaf is one of the most instantly recognisable and powerful vocalists in rock history, so it’s a massive compliment to the entire West End cast that they are able to fully match that note perfect power and collectively reimagine his popular back catalogue. Aided by elaborate production value and the grandeur of one of London’s most lavish Theatre spaces the musical fully succeeds in avoiding ever feeling merely like skilful karaoke. There’s genuinely electrifying atmosphere to these live performance that gives audiences so much more than watching a YouTube medley of Meatloaf music videos ever could. Bat Out Of Hell has assembled a talented cast of seasoned theatre veterans and undaunted newcomers. The shows core quartet of Rob Fowler, Sharon Sexton, Christina Bennington and Andrew Polec all deserve considerable praise for vocally flawless performances and for bravely tackling some of the more cringe inducing dialogue. The show often nods to self-awareness of its more ridiculous elements and the cast’s consistently earnest and enthusiastic performances carry audiences through those moments with a confident smirk. Though the first act lurches often from the sublime to the ridiculous an indisputably stronger second act sees the show deliver a steadier stream of musical spectacle less often interrupted by silly narrative elements. 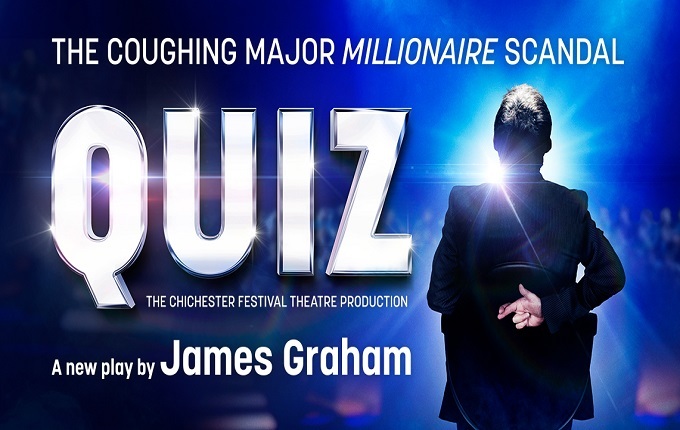 Uncertain audiences are likely to be won over entirely as the show finds its feet and struts through a succession of iconic power ballads with their rapturous support. Having adjusted to the somewhat weird and wonderful world of Bat Out Of Hell The Musical audiences are ultimately left with the simple truth that these songs are uniquely entertaining and meaningful in the way only rock anthems truly can be. Meatloaf’s unique brand of gothic rock opera is widely appealing, but there are still some who are of course less enthralled by its kitsch charms. Those reluctant to embrace the ostentatious vocal theatrics of Meatloaf and Jim Steinman’s elaborate compositions are unlikely to find that opinion altered by the transition to stage. Indeed those that specifically object to the self-indulgence of 10 minute long power ballads will only be left more exhausted by a series of them tied together by sparse dialogue and a frequently bizarre narrative. Shamelessly gothic production design and a near constant use of heavily stylized video projections may also divide audiences between those who love the camp fun factor and those left unsure how seriously to take anything. Likewise while Steinman’s lyrics have always been elaborate and wildly melodramatic, without the swooping support of symphonic guitar riffs that same language risks becoming outright laughable dialogue during the connecting scenes. Though of course that bare chested crudely poetic silliness is an entertaining guilty pleasure in its own right. Though the show undeniably captures much of what millions of fans love about Meatloaf, amplifying those distinctive traits won’t win over everyone and especially those who find endless rock opera more draining than delightful. 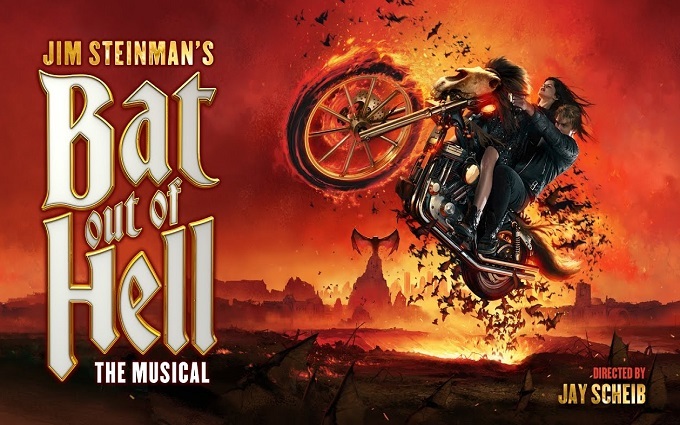 Bat Out Of Hell soars onto stage with triumphant performances of the most beloved rock ballads. The show pays loving tribute to the unique charms of Meatloaf while equalling his legendary live performances, especially in a relentlessly spectacular second act. After 40 years this new musical is a unique addition to the West End and essential viewing for existing fans and those discovering these song for the first time alike. In the future people escape the grim realities of the real world in the Oasis, a fantastical virtual reality where the only limits are your own imagination. A group of young players set out to solve a series of mysterious challenges left behind by the enigmatic creator of the Oasis, in order to win control of this digital world and keep it out of the hands of an evil corporation determined to exploit it and its inhabitants. 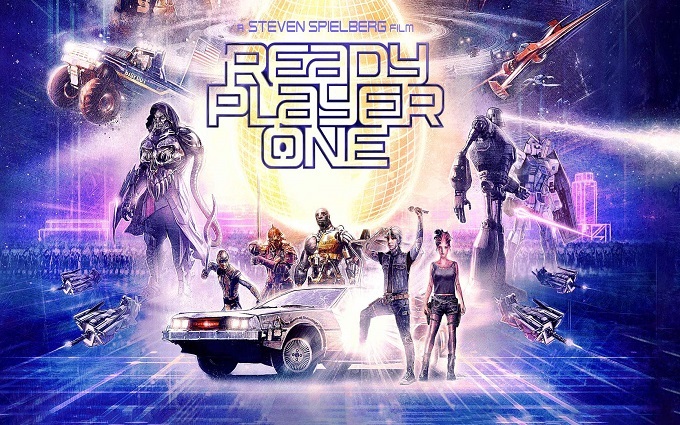 As the legendary creator of so much iconic pop culture, Steven Spielberg is a director uniquely positioned to turn author Ernest Cline’s novel of retro digital delights into a big screen reality. The film does an astonishingly good job of not only making the Oasis a wildly fun and beautifully realistic digital playground, but also populating it with an endless array of pure pop culture magic. Ready Player One is a shameless love letter to the movies, comic books and video games that define us. The mash up of beloved characters is a wondrous toy box for Spielberg to play with. Seeing the flying Back to the Future Car racing Akira’s bike through a booby-trapped New York, dodging Jurassic Park’s T-Rex and King Kong, is a dazzling assortment of cinematic delights. It’s impressive just how many familiar content the film manages to cram on screen, whilst also simultaneously telling an entirely original story. In truth it really has been a while since Spielberg made an unapologetically crowd pleasing science fiction epic on this scale and it’s a triumphant return for the master storyteller. It’s hard to imagine a better nostalgic homecoming than Ready Player One. Spielberg manages to inject healthy portions of genuine emotion into effects laden big screen adventure, crafting the film with his trademark gift for wonder and heart. Rising star Tye Sheridan graduates from a recent supporting turn in the new X-men franchise to competently play Ready Player One’s leading hero. He manages to deliver plenty of exposition heavy dialogue whilst still giving digital dreamer Parzavel some infectious enthusiasm. Olivia Cooke is even more impressive as mysterious heroine Art3mis, a charismatic digital dream girl who lends the film wry wit and some surprising emotional depth. Likewise, Ben Mendelsohn adds another convincing performance to his growing list of recent villainous turns, playing a ruthless corporate slime ball with just the right mix of greedy smarm and maniacal menace. Meanwhile TJ Miller is on typically scene stealing form as evil digital henchman I-Rok. Spielberg’s latest muse Mark Rylance delivers typically brilliant work as the digital ghost of reclusive tech billionaire Halliday, the creator of the Oasis and a literal spiritual guide for the young heroes playing his game. His performance channels real life iconic figures such as Steve Jobs and Mark Zuckerberg into precisely the kind of awkward genius that can change and inspire the world despite their own obvious personal flaws. Though a solid cast are a strong asset for the film, the undeniable star of Spielberg’s digital wonderland is the impressively crafted CGI visuals that fuse nostalgia with inventive fun in virtually every frame. It’s heartfelt crowd pleasing escapism on the most spectacular scale. While every inch of the screen in Ready Player One is frequently bursting with beloved video game and film references, it can at times feel just a little oversaturated. In order to fully appreciate every geeky in joke and familiar character featured you would literally need to freeze frame the action. For every fan favourite that gets their moment of glory there’s another 100 blink and you’ll miss it cameos. Some fans may be a little disappointed to find their personal favourites given a split seconds attention or omitted entirely. It’s simply impossible to cram the entirety of modern pop culture into just one film. Although it doesn’t majorly spoil the fun, it’s also fair to say that the world of Ready Player One does sometimes suffer from slight gaps in logic and noticeable inconsistencies in how the real world and Oasis effect one another. Not an uncommon flaw for stories built around virtual realities. It’s also a little ironic that a film that exists as the ultimate escapist fantasy also tries at some points to heavy handily warn audiences about the importance of facing up to reality. In Ready Player One, Steven Spielberg leads audiences on a fun romp through a boundless digital playground, packed to bursting point with our most beloved pop culture. It’s an action and special effects fuelled ride though our collective imaginations that puts our capacity for joyous wonder up against the forces of greed and gloom. It’s a film that neatly encapsulates both our fearful cynicism and our inspired optimism for the future. It also deserves to be seen on the biggest screen possible. A music loving 17 year old girl lives her life behind protective glass and the safety of night time due to a rare illness that keeps her out of sunlight. When she finally meets a local boy the pair strike up a determined romance. Midnight Sun is a well-crafted tale of teen romance, armed with a deeply poignant backdrop and a pair of genuinely charismatic leads. In a very similar fashion to film’s like The Faults In Our Stars or Me Earl and The Dying Girl, this film juxtaposes the magically promise of young love with the cruel tragedy of illness. It’s a powerful contrast that gives the film an instant emotional weight, almost certainly leaving a lasting impact on audiences. Patrick Schwarzenegger may be the son of the world’s most iconic musclebound action star, but his own handsome charms are gentler and well suited for a romantic leading man. In Midnight Sun he does much to prove that he has talent in his own right that go well beyond having one of Hollywood’s most famous last names. His clean cut all American good looks are a perfect fit for duties as the kind and cute boy next door. Bella Thorne delivers a terrific star turn as Katie Price, the young girl grappling with her medical limitations and the awkward excitements of first love. It’s refreshing to see her graduate from silly supporting roles in more light hearted teen comedies and fully flex her dramatic muscles of a change. Undeniably beautiful Thorne is also able to carry the full weight of responsibility that comes with handling themes of terminal illness with appropriate sincerity and sadness. 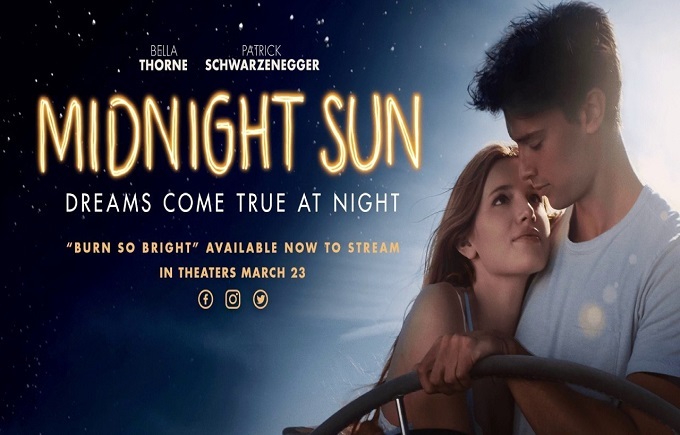 Ultimately the highest compliment for Midnight Sun is that its talented and compatible young stars make it impossible to avoid fully emotionally investing in their adolescent romance, despite audiences being fully aware of how tragic and heart-breaking the consequences may prove to be. Midnight Sun is precisely the kind of bittersweet tear-stained romance that will leave some people reaching for tissues and possibly in need of a good hug. Despite the film’s many excellent qualities, it‘s only fair to warn more sensitive souls that the film may leave them more than a little emotionally shell-shocked. While it’s no doubt laudable for a romantic drama to tackle genuine tragedy it’s obviously an acquired taste that won’t appeal as much to those that are more used to using big screen romance purely as a satisfying cinematic escape from real life. Midnight Sun is a charming tear stained romance that captures the uniquely precious magic of first love. Bella Thorne and Patrick Schwarzenegger are a pleasingly beautiful young pairing that demonstrate considerable star power together, leading audiences on a memorably bittersweet journey. Two young women from opposite sides of fierce protests over the death penalty meet on the picket lines outside prisons and form an unlikely friendship. While both deal with their respective personal issues they grow ever closer, leading to dramatic personal revelations, passion and life changing romance. My Days Of Mercy is a compelling romantic drama that avoids being merely an issue film. While its death row setting and LGBT themes are important facets in each character’s journey, the film never feels like being only about either ‘issue’. The film also adeptly tackles universal themes of family, unlikely romance and overcoming traumatic grief. The film makes a very deliberate choice to avoid explicitly endorsing any particular opinions about the death penalty, instead the film does a brilliant job of depicting the true human cost and emotional pain of both sides of the debate. The issue serves as a compelling backdrop for the journey of both central characters, providing contrast and context for their own specific inner turmoil’s. In particular Ellen Page’s character and her resilient family unit serves as a very dramatic illustration of just how emotionally complex and intense the reality of death row is. Ellen Page and Kate Mara make for an utterly compelling on screen couple, expertly portraying the tension and raw passion that comes from opposites attracting. Page’s character is vulnerably fragile and endearingly shy, while Mara’s bleached blonde upper class character exudes both confidence and a surprising kindness. It’s a testament to the acting talents of both actresses that they are able to pack constant subtext and emotional nuance into even the film’s quieter moments. It’s also worth noting that when the embers of their unlikely romance do finally explode into full on flames their on screen passion is convincingly raw and real. My Days Of Mercy is a tender and thoughtful piece of cinema that benefits from a well-crafted combination of indie soundtrack and lush cinematography. The film has a calm and compassionate tone that does a great job of treating abstract moral issues as merely one component of character’s lives. Grounding the story and each character in a believable reality allows the film to explore love and loss without resorting to heavy handed melodramatics. Although the film is set against the constant backdrop of the fiercely contested death penalty debate in truth it remains fairly neutral on the issue, focusing primarily on its central love story rather than wading too deeply into direct moral debate. That may slightly disappoint those with strong opinions on the subject who would rather see their views more explicitly endorsed on screen. But it’s a deliberate storytelling choice and in truth the film has little ambition to suffocate audiences with heavy handed moralising. Likewise while the film’s quiet moments and casual pacing gives it a thoughtful tone and leaves plenty of room for some brilliant acting performances, some people may find this sedate quality less attention grabbing. My Days of Mercy was a successful addition to TIFF and is now a very fitting opening film for the BFI LGBTQ+ Flare Film Festival. Emotionally compelling subject matter and achingly sincere performances form Ellen Page and Kate Mara makes My Days Of Mercy a memorably passionate and thoughtful love story.